Drake Flat Decks are built using heavy-duty steel material and superior hardwood flooring. 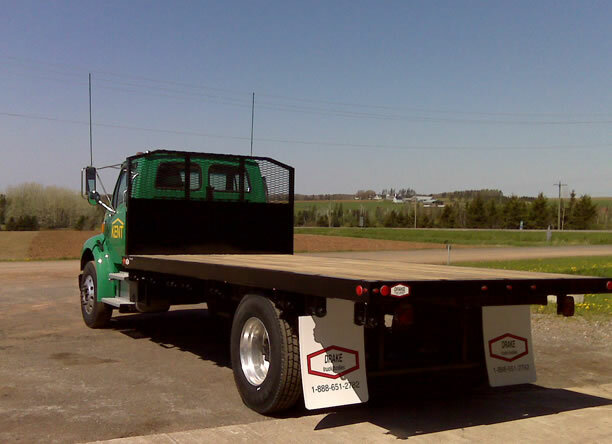 These decks are ideal for the Building Supply industry for loading bulky material, such as lumber, from the side. Our Flat Decks are built to last, with quality materials and superb craftsmanship. If that isn't enough you can see our excellent warranty on the Warranty page. There are also numerous optional features to consider when custom ordering your Flat Decks to suit your makes and models of trucks. Contact Us today and get your custom quote!